April is National Poetry Month. 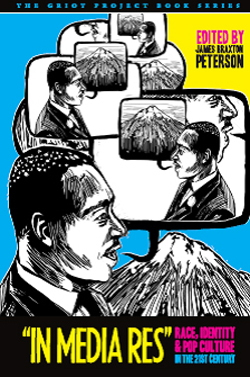 Since its inception in 1996, National Poetry Month has evolved into one of the largest cultural events celebrating imagination, language, emotion and contemplation. On a gorgeous spring day, we invite you to celebrate the beauty of poetry with us and carry on the joy of reading poetry all year long. This is the first English translation of an award winning book published in Afrikaans in 1989. It engages critically and creatively with a key moment of colonial history – the time Lady Anne Barnard spent at the Cape of Good Hope, from 1797 to 1802. Usually mentioned merely as a witty hostess of fabulous parties, Anne Lindsay Barnard, the daughter of a Scottish Earl and the wife of a colonial administrator, was an independent thinker and a painter and writer of genius. 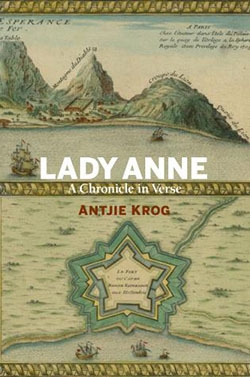 Antjie Krog acts as bard and chronicles an epic about this remarkable heroine’s life in South Africa, and intertwines it with life two hundred years later in the same country but now in the throes of anti-apartheid anger and vicious states of emergency. my days of fighting you are over. 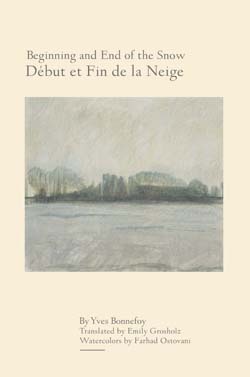 Yves Bonnefoy’s book of poems, Beginning and End of the Snow followed by Where the Arrow Falls, combines two meditations in which the poet’s thoughts and a landscape reflect each other. In the first, the wintry New England landscape he encountered while teaching at Williams College evokes the dance of atoms in the philosophical poem of Lucretius as well as the Christian doctrine of death and resurrection. 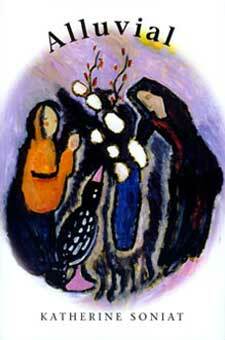 In the second, Bonnefoy uses the luminous woods of Haute Provence as the setting for a parable of losing one’s way. An intensely philosophical and religious poet, Olga Sedakova writes of nature, music, and the inner, spiritual life. As one of the preservers of traditional Russian culture, she stands in stark contrast to the rampant commercialization in contemporary Russian life, instead tracing her poetic roots back to the early avant-garde movements of pre-revolutionary Russia. For that stance, she endured years of censorship and silencing during the Soviet regime her poems distributed by hand in mimeographed copies or by word of mouth. 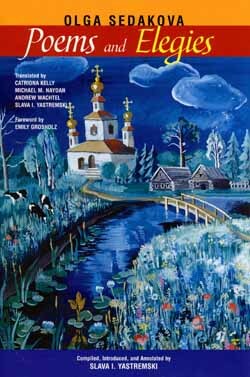 This volume introduces to an English-speaking audience an extensive selection of poems by one of Russia’s most distinguished lyric poets writing today. Blues Baby: Early Poems brings together Harryette Mullen’s first book, Tree Tall Woman, with previously uncollected poems from the beginning of her career. Her early poems draw inspiration from the feminist and Black Arts movements, as well as her connections to diverse communities of writers and artists. 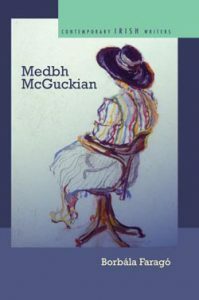 The movement of this volume is loosely autobiographical – from childhood narratives to poems about sexuality to indirect evocations of the poet’s art. 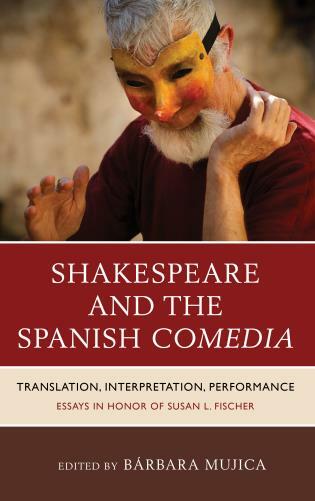 Many of the poems address the subject of family and community, often emphasizing the strength of women and female friendship; some evoke culturally specific traditions and locations; others of a satiric nature offer cultural critiques. 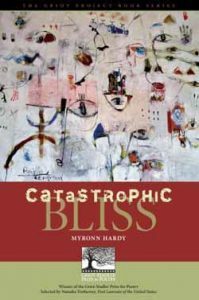 Harryette Mullen’s poetics works within various traditions, including the confessional and the performative mode of the Black Arts poets, and throughout her free-verse lyrics are written with insight, humor, and musicality, and will appeal to a diverse readership. The poems in Marc Hudson’s The Disappearing Poet Blues are driven by a moral anguish: how do we live, they ask, in strict circumstances; what is the worth of a profoundly limited human life; how can one be both a good father and a good artist? Emblematic of the poet’s exile and endurance are the severe landscapes of the Okanogan in Washington State and the Colville Indian Reservation, where Hudsons brain-injured son, Ian, was born and lived his first year. Later poems reflect the familys move to Indiana, where the less austere contours of the Midwest suggest a mellowing of grief. 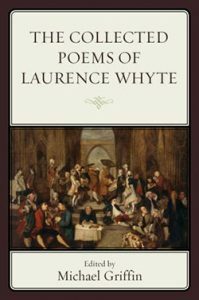 The poems of the second section metaphorically wrestle with many of the same concerns: Caedmon, the first Anglo-Saxon Christian poet, tells of the burdens of song; an Irish monk on his volcanic outpost longs for his homecoming in Christ. 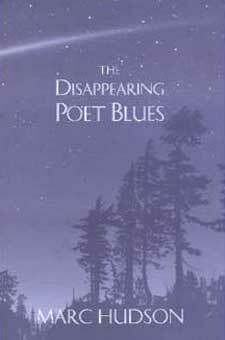 Hudsons The Disappearing Poet Blues has an ethical music and weight; but ragged and uncertain and human as it is, it also sings the blues. The sediment, or alluvium, deposited in a riverbed perpetually shifts and settles in response to water’s flux; in turn, its submerged contours shape the watercourse, creating shallows and rapids, treacherous holes and long placid runs, sculpting the restless shoreline. Set in the watery landscapes of the Chesapeake Bay (the world’s largest estuary) and in Louisiana (land of braided tributaries), Katherine Soniat’sAlluvial charts the course of individual and collective histories influenced by the rich alluvium of culture and geography, ecology and autobiography. Lives large and small, recorded and unrecorded-those of Captain John Smith, Frederick Douglass, a community of Ursuline nuns, a home full of exiled children of tubercular parents, the poet’s mother, nameless others-merge into the past’s archetypal sediment, only to rise again in these beautiful poems to dance in memory’s drift and to filter a future always infused with the past. 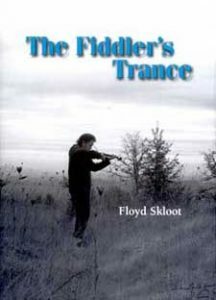 Poet, essayist, and novelist Floyd Skloot continues his exploration of human resilience in The Fiddler’s Trance, his third collection. 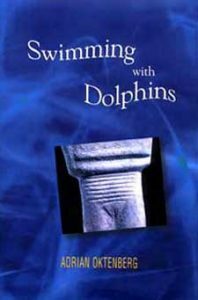 Patterns of historical and personal experience in these poems illuminate the mysterious interaction of illness, loss, and creative endeavor. We can never be certain that our vital force or physical integrity will endure: Skloot’s poems consider the phenomenon of sudden change in our lives. When all we understood about ourselves and our world is called into question, we must find a new way of seeing. Mixing formal and free verse; moving freely between past and present, self and others, private and public life, the poems of The Fiddler’s Trance are concerned with the power of art to express hope honestly. It is almost the end of the year, a time to reflect on what we have achieved. 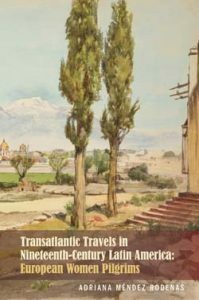 In 2016, Bucknell University Press books were reviewed extensively in many different scholarly journals. Please take a look at these 10 notable reviews and maybe you can find your holiday present from our book list. Happy holidays to our readers, authors, editors, and friends. 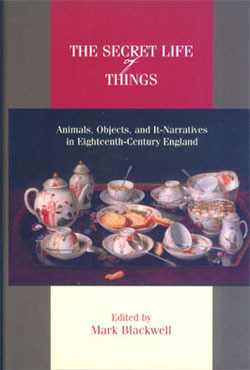 The Secret Life of Things: Animals, Objects, and It-Narratives in Eighteenth-Century England, edited by Mark Blackwell. Postracial America? 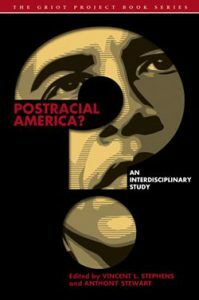 An Interdisciplinary Study attempts to broaden the application of this idea – the dream of a nation beyond race- by situating it in contexts that demonstrate how the idea of the postracial has been with America since its founding and will continue to be long after the Obama administration’s term ends. In Media Res is a manifold collection that reflects the intersectional qualities of university programming in the twenty-first century. Taking race, gender, and popular culture as its central thematic subjects, the volume collects academic essays, speeches, poems, and creative works that critically engage a wide range of issues, including American imperialism, racial and gender discrimination, the globalization of culture, and the limitations of our new multimedia world. 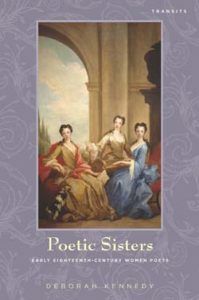 In Poetic Sisters, Deborah Kennedy explores the personal and literary connections among five early eighteenth-century women poets: Anne Finch, Countess of Winchilsea; Elizabeth Singer Rowe; Frances Seymour, Countess of Hertford; Sarah Dixon; and Mary Jones. 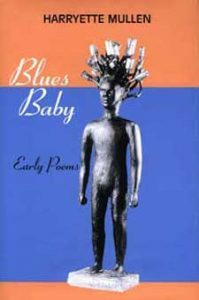 Blues Baby: Early Poems brings together Harryette Mullen’s first book, Tree Tall Woman, with previously uncollected poems from the beginning of her career. Her early poems draw inspiration from the feminist and Black Arts movements, as well as her connections to diverse communities of writers and artists. What is a canon and why does it matter? 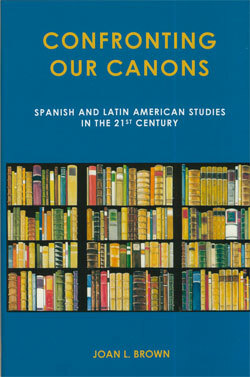 In Confronting Our Canons: Spanish and Latin American Studies in the 21st Century, Joan L. Brown shows that a canon has the power to define a field and determine what is taught. She argues that it is both productive and necessary to confront our canons, to see what is actually in them and how these works and authors got there. Voices Out of Africa in Twentieth-Century Spanish Caribbean Literature is a compelling exploration of how authors of the Spanish Caribbean (Cuba, Santo Domingo, and Puerto Rico) have incorporated the cultural legacy of Africa into their narrative fictions. 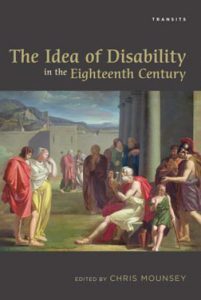 The Idea of Disability in the Eighteenth Century explores disabled people who lived in the eighteenth century. It includes essays considering philosophical writing dating between 1663 and 1788, when the understanding of disability altered dramatically, exploring three types–the novel, the periodical and the pamphlet–which pour out their ideas of disability in different ways and bringing to light little known disabled people, or people who are little known for their disability. 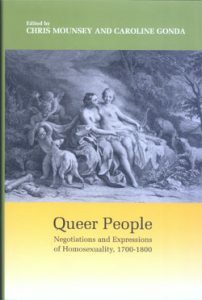 This fascinating and diverse collection of essays concerns the lives and representations of homosexuals in the long eighteenth century. The collection addresses and seeks to move beyond the current critical division between essentialists and social constructionists, a division that bedevils the history of sexuality and fissures Queer Theory. This anthology is an interdisciplinary collection of essays that builds on the presentations from a conference on race held at Bucknell University that addressed the issue of the persistence of race in the new millennium. 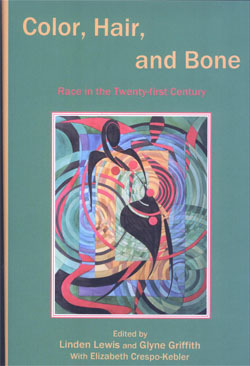 These essays all deal with various critical dimensions of race from a sociological, anthropological, and literary perspective. 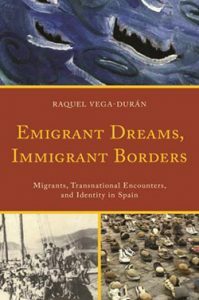 Emigrant Dreams, Immigrant Borders: Migrants, Transnational Encounters, and Identity in Spain offers a new approach to the cultural history of contemporary Spain, examining the ways in which Spain’s own self-conceptions are changing and multiplying in response to migrants from Latin America and Africa. This set of essays considers the work of ten women writers: Nella Larsen, Zelda Fitzgerald, Flannery O’Connor, Eudora Welty, Sylvia Plath, Hisaye Yamamoto, Toni Morrison, Maxine Hong Kingston, Louise Erdrich, and Sandra Cisneros. 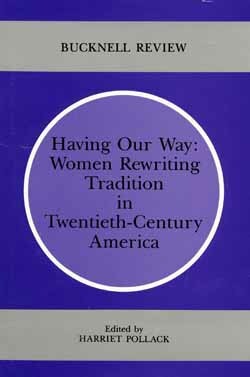 The essays bring together the voices of ten other women writers who are themselves having their way with academic tradition, rewriting it from the women’s points of view. 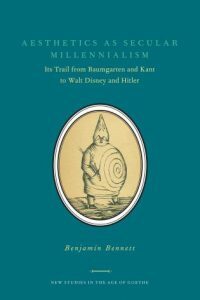 Since it debuted, Bucknell University Press’s book series New Studies in the “Age of Goethe” has been receiving critics’ attention and readers’ praises. 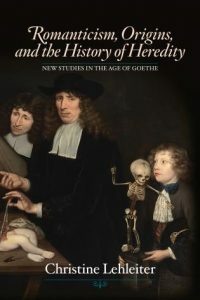 The series, sponsored by the Goethe Society of North America, aims to encourage and publish innovative research that adopts interdisciplinary approaches or provides new insights on the “Age of Goethe.” Current books in the series include Romanticism, Origins, and the History of Heredity (2014) by Christine Lehleiter, Aesthetics as Secular Millenialism: Its Trail from Baumgarten and Kant to Walt Disney and Hitler (2013) by Benjamin Bennett, The Mask and the Quill: Actress-Writers in Germany from Enlightenment to Romanticism (2011) by Mary Helen Dupree, After Jena: Goethe’s Elective Affinities and the End of the Old Regime (2010) by Peter J. Schwartz and Reading Riddles: Rhetorics of Obscurity from Romanticism to Freud (2010) by Brian Tucker. Professor Joycelyn Holland of University of California-Santa Barbara highly praised Lehleiter’s Romanticism, Origins, and the History of Heredity, saying that “(Lehleiter’s) work has the potential to change the landscape of Romantic literary studies.” Dupree’s book The Mask and the Quill is also recognized by critics. 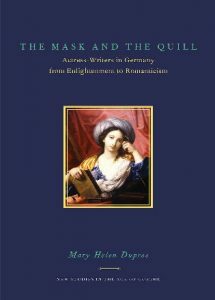 “The Mask and the Quill is an important contribution to German studies, gender studies, and performance studies”, said Professor Lena Heilmann, who is currently teaching at Knox College. Great books cannot be published without great editors. Speaking about her experience with New Studies in the “Age of Goethe,” Professor Karin Schutjer, the current series editor, acknowledges the collective wisdom and experience of the editorial group. “It’s gratifying to be part of it,” she says. 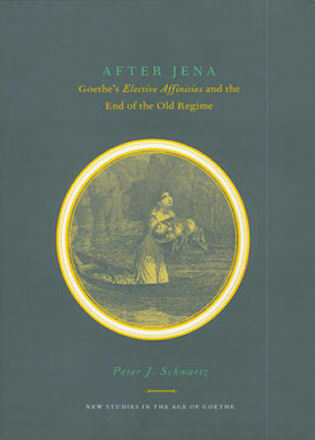 Professor Schutjer is interested in German history and her recent book concerns Goethe’s relationship to Judaism. As she recalls, her first touch with German studies in college was to “try to understand the catastrophic course of German history in the 20th century (how, for example, we got from Goethe to the Holocaust) and then to explore the remarkable processes through which Germany has redefined itself since then.” Historical events and significant figures are always correlated, and in order to understand Germany in the 20th century and Germany today, it is important to understand those influential German intellectuals such as Goethe. When asked about her understanding of “the Age of Goethe,” professor Schutjer shows great passion in her profession and depicts a grand picture of German culture at that time. 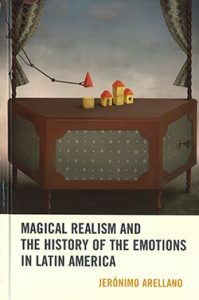 “It was the age of Kant, Hegel, Mozart, Beethoven, and so many other pathbreaking artists, writers, and intellectuals. And in the midst of it all was Goethe, who not only became the defining German poet, but also had his hands in so many other fields of inquiry and endeavor, including science (botany, anatomy, optics, geology), art and architecture, dramaturgy, philology, public administration and statecraft.” Thanks to the richness of this era, it is not surprising that, after so many years of scholarly research, there are still numerous innovative projects such as the books in this series and we look forward to forthcoming research to unveil the “Age of Goethe” from an angle we haven’t examined before. Below is the full interview with Professor Karin Schutjer. What’s the inspiration for this book series? 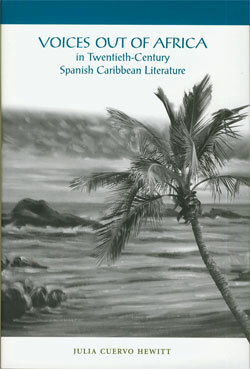 The book series was founded in 2006 by Professor Astrida Tantillo, who served at the time the Executive Secretary of the Goethe Society of North America. North American scholarship in the Age of Goethe is a remarkably vibrant and innovative field. 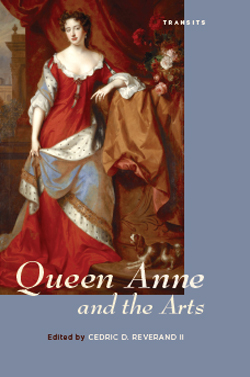 Her vision was simply to establish a leading publishing venue for the best new work in the field. What do you enjoy most about your involvement with this series? That’s an easy one! Our two previous editors, Astrida Tantillo and Jane Brown, developed a very collaborative editorial process. All proposals are carefully read and discussed by our small board, which fortunately still includes both Astrida and Jane. I feel there is a great deal of collective wisdom and experience in this group, and that we are very directed towards finding and developing the potential in projects. It’s gratifying to be part of it. As we all know, Goethe is the most renowned figure in German culture both within and beyond his time. How do you understand the Age of Goethe? The Age of Goethe is loosely defined as 1770-1830, the six decades of Goethe’s greatest productivity. But in a more important sense this period really represents Germany’s passage into modernity. This era spans huge transformations, from the rule of Frederick the Great through the Revolutionary Wars and the dissolution of the Holy Roman Empire, to the reactionary post-Napoleonic order. It saw the flourishing of Enlightenment thought and the emergence of Romanticism and German nationalism. It was the age of Kant, Hegel, Mozart, Beethoven, and so many other pathbreaking artists, writers, and intellectuals. And in the midst of it all was Goethe, who not only became the defining German poet, but also had his hands in so many other fields of inquiry and endeavor, including science (botany, anatomy, optics, geology), art and architecture, dramaturgy, philology, public administration and statecraft. You can imagine what a rich field this is for interdisciplinary explorations. 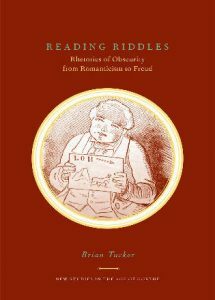 What are the notable features of this book series that differentiate it from other scholarly publications on Goethe and German culture in a broad context? 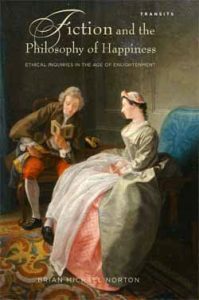 What sets this series apart is its clear epochal focus backed up by the expertise and resources of an extremely active and innovative scholarly society, the Goethe Society of North America. The society mentors young scholars from the dissertation stage, provides conference opportunities, a scholarly yearbook, and article prizes. 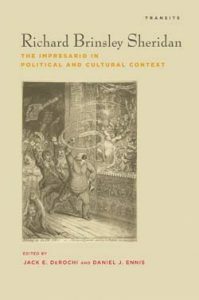 The monograph series is able to draw on this fabulous network of established and emerging scholars. What is your expectation for future publications in this book series? We have several interesting proposals in the works and we’ll see where the field takes us next! I think we’ll continue to see a broad range of topics and approaches because that really reflects the diversity of contemporary scholarship in the Age of Goethe. What motivates to be a scholar in German studies? What are your academic interests? 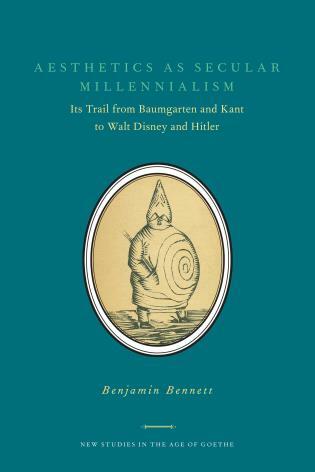 I can’t speak for all North American German studies scholars, but I think many people in my generation were probably moved, maybe first as undergraduates, to try to understand the catastrophic course of German history in the 20th century (how, for example, we got from Goethe to the Holocaust) and then to explore the remarkable processes through which Germany has redefined itself since then. 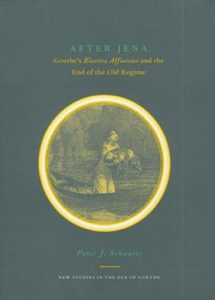 My own work is still somewhat shaped by those big questions about German history: my recent book concerned Goethe’s relationship to Judaism. Essential Scots and the Idea of Unionism in Anglo-Scottish literature, 1603-1832 by Rivka Swenson. 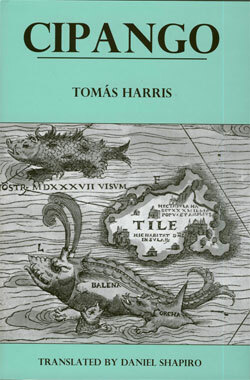 Romanticism, Origins, and the History of Heredity by Christine Lehleiter. Citizens of the World: Adapting in the Eighteenth Century, edited by Kevin L. Cope and Samara Anne Cahill. Textual Vision: Augustan Design and the Invention of Eighteenth-Century British Culture by Timothy Erwin. Making Love: Sentiment and Sexuality in Eighteenth-Century British Literature by Paul Kelleher. 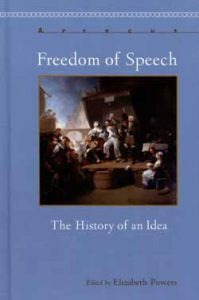 Reading 1759: Literary Culture in Mid-Eighteenth-Century Britain and France, edited by Shaun Regan. Revealing Bodies: Anatomy, Allegory and the Grounds of Knowledge in the Long Eighteenth Century, edited by Erin M. Goss. 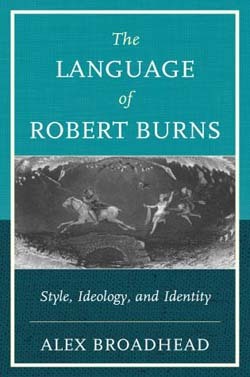 The Language of Robert Burns: Style, Ideology and Identity by Alex Broadhead.